Do you have children in your household who have a smartphone? Do you want to know more about what they can access on these devices? Do you want to be better at cyber-parenting? If you answered yes to any one of these questions, then this is the show for you. 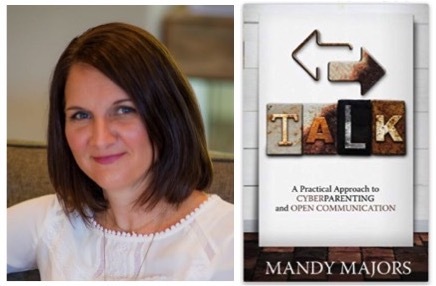 Our guest, Mandy Majors, is the author of TALK: A Practical Approach to Cyberparenting and Open Communication and is the founder and executive director of nextTalk, a nonprofit organization passionate about helping families develop open communication to keep kids safe online. She has been happily married to her best friend, Matt, for eighteen years, and they’re raising two kids in a quaint little Texas community.